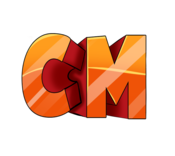 CartelMC is a unique network consisting of Skyblock, Prison and Factions & More. We pride ourselves on creating unique, fun and creative content that the community wants to see. We have a ever growing community, and we want you to join us on our journey to create the #1 Minecraft Server Experience. Our executive team works non-stop to ensure content is of the highest quality it can be. You can support our work by donating on our store, where you can be rewarded in return for awesome and fun perks. Click the button below to see how you can support us.